The “Obstanovka-1st stage” will be carried out to provide a databank of electromagnetic fields and of plasma-wave processes occurring in the ISS near-surface zone (NSZ) to account for the influences of the plasma component factors of near-Earth space (NES), including influence of an artificial origin. During November 2005 the integration of engineering model of the PWS will be executed in IKI. In 2006 testing of engineering model of the PWS will be made in RSK "Energia". The realization of experiment on board RS ISS is planned for first half of 2007. Geophysical studies of the plasma-wave processes, connected with the manifestation in the ionosphere it is solar-magnetospherically-ionospherically-atmospheric-terrestrial connections. The ecological monitoring of the low-frequency electromagnetic radiations of anthropogenic nature and connected with the global catastrophes. Studying plasma-wave conditions in zone near to superbig spacecraft. 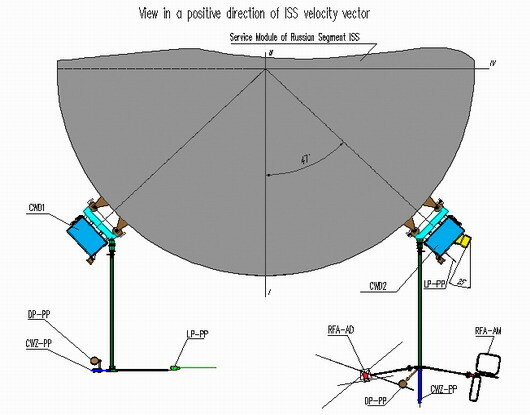 "Obstanovka 1-st stage" experiment is included in "The program of scientifically-applied researches planned on the Russian Segment of International Space Station" (section: geophysical researches). Realization of the experiment is planned in the end of 2010. The coordinated ground observations on the influence of electromagnetic disturbances on the technogenic structures and the living organisms. Седьмая ежегодная конференция Физика плазмы в солнечной системе , ИКИ РАН, 06.01.2012 Разработка методики пространственно-временных измерений плазменно-волновых. As seen above, a huge number of instruments have been developed in order to examine the ionosphere. The analysis of our planet and its atmosphere requires global cooperation, and Hungarian researchers participate in it by designing and developing instruments. Proposed by ELTE Research Laboratories, an important research program was accepted to study the relationship between earthquakes and space around the Earth. The team at ELTE presumes that there are changes prior to tectonic movements before seismic processes and earthquakes on the Earth which may affect the orbital space state, and tensions in terrestrial rocks could affect the space around the Earth. These phenomena can be detected and measured in the ionosphere because the Earth can be considered as a cosmic capacitor. Scientific analysis of data provided by the project may forecast earthquakes in a reliable way. When you look up at the sky at night and see the ISS passing through as a luminous object, remember how many fascinating problems can be solved by the onboard instruments! 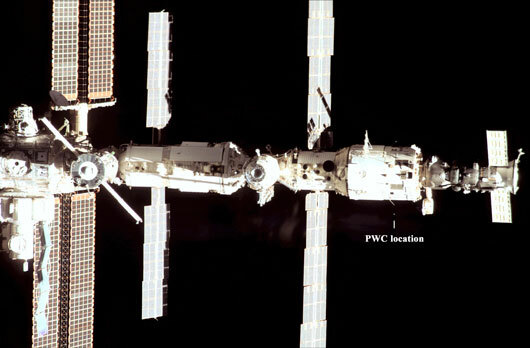 The crew of the new mission to the International Space Station (ISS), during one of its four planned spacewalks, will install a unique equipment for conducting the new experiment, "The Situation", on the outside of the Russian segment of the station. The commander of the crew ISS-36, Pavel Vinogradov told this to reporters. "This is a new, very complex system of sensors and antennas, and the experiment is designed to study the plasma-wave processes in the Earth's upper atmosphere. Eventually, this will benefit the mankind in prediction of earthquakes and about possibility of natural disasters", - said Vinogradov. The new expedition starts on the night of March 29 from Baikonur aboard the "Soyuz TMA-08M". LC ISR is Co-PI of the international experiment OBSTANOVKA-1 onboard the Russian segment of the International Space Station (ISS). The main goal of the experiment is to develop the methodology and instrumentation for EM phenomena investigation in the ISS environment. To fulfil this goal the automatic mini-buoys and necessary operation procedures are under development. Tentative launch date is year 2004.